Here is a watercolor I did a couple of weeks ago, to remind me of the sun! Victorian Motto Sampler Shoppe: New give-away, new floss boxes, enter now! Please stop by my ETSY shop and see what's new! Please stop by and have a look in my shop. I've posted some new things. Thank you!! I was asked to do a commission. "For the right price, paint me a lion..." I posted the finished piece today and so far, no word~ no comments at all. I do wish they had said something. It's not that I would be whiney or cry baby if he said he didn't want it. He gave me no instructions other than create something based on what I thought I knew of him, which was nothing. So I didn't expect much. 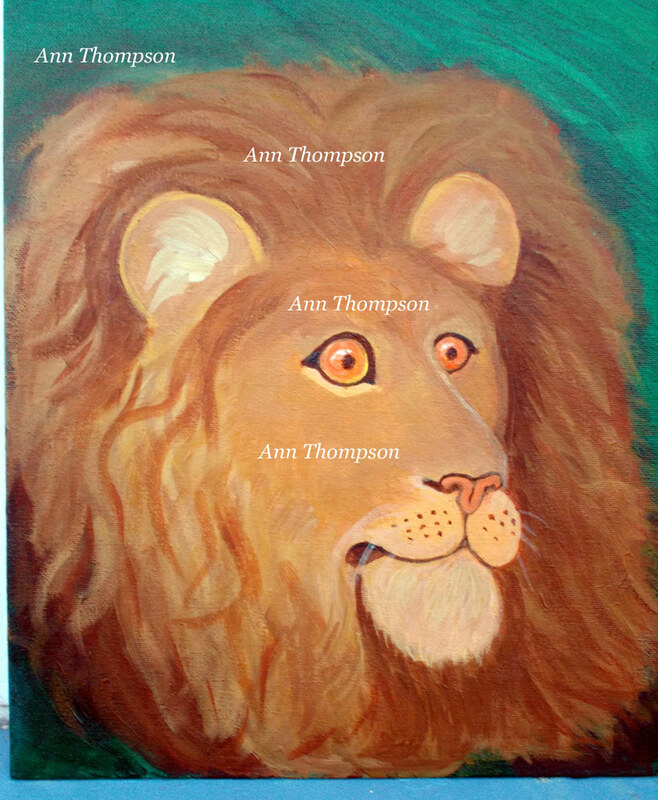 I painted a lion, good practice! End of that story. Maybe I can find a place to sell it, maybe not. I think it is to be expected that an artist will come across this type of situation when they are starting. I DID ask for a price, which was good! My backbone grew a wee bit! Its all good!! Goodnight.